You will first need to prepare some cookie dough. 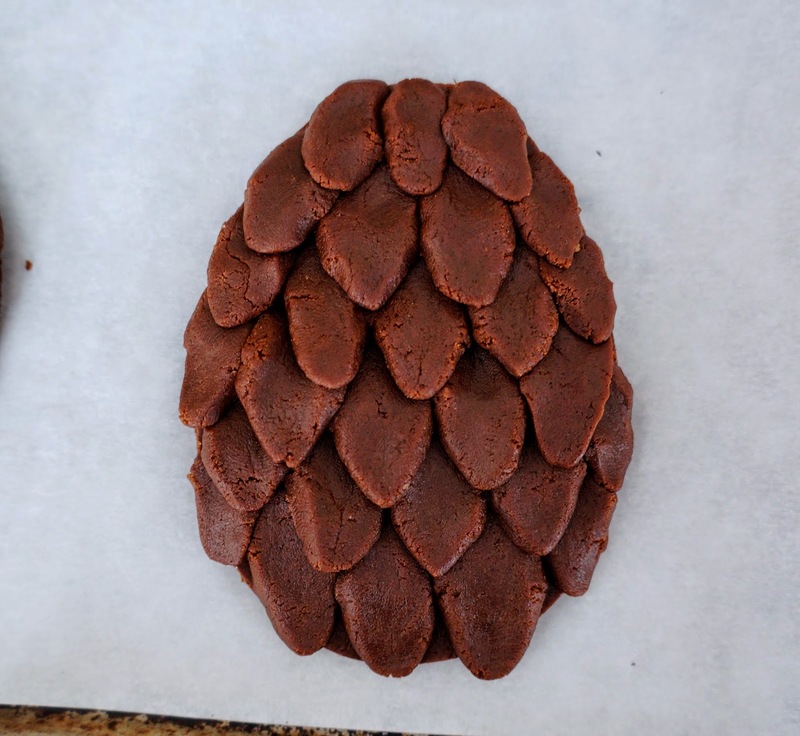 We recommend you use a non-spreading chocolate cookie recipe for best dragon egg like results. 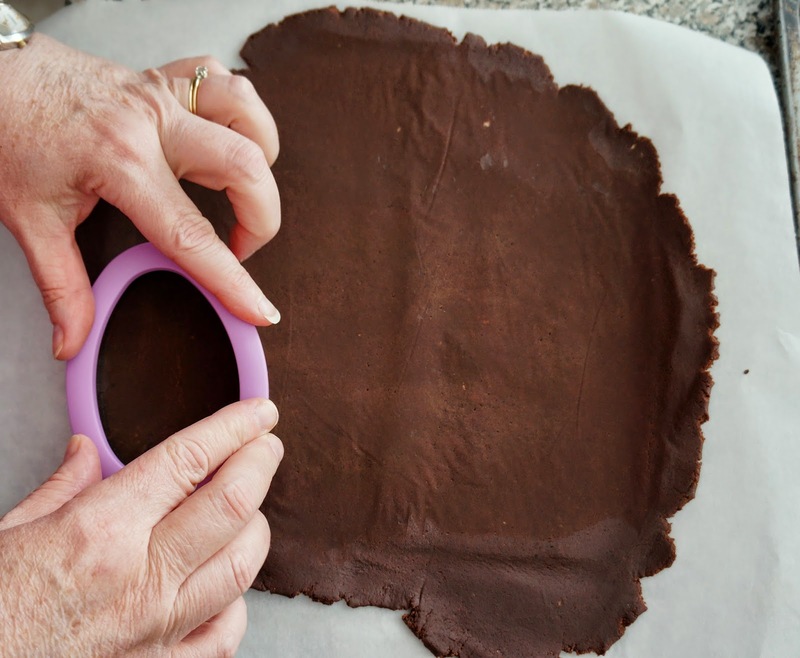 We used this recipe for chocolate shortbread cookies. 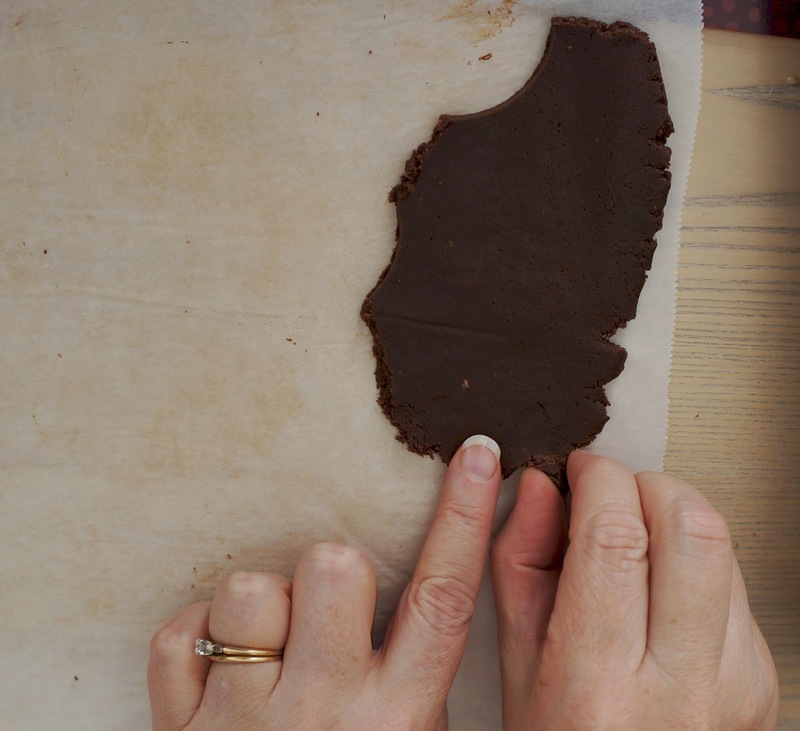 Start by preparing your cookie sheets with parchment paper. Next, start to cut out egg shapes from pre rolled and chilled dough. 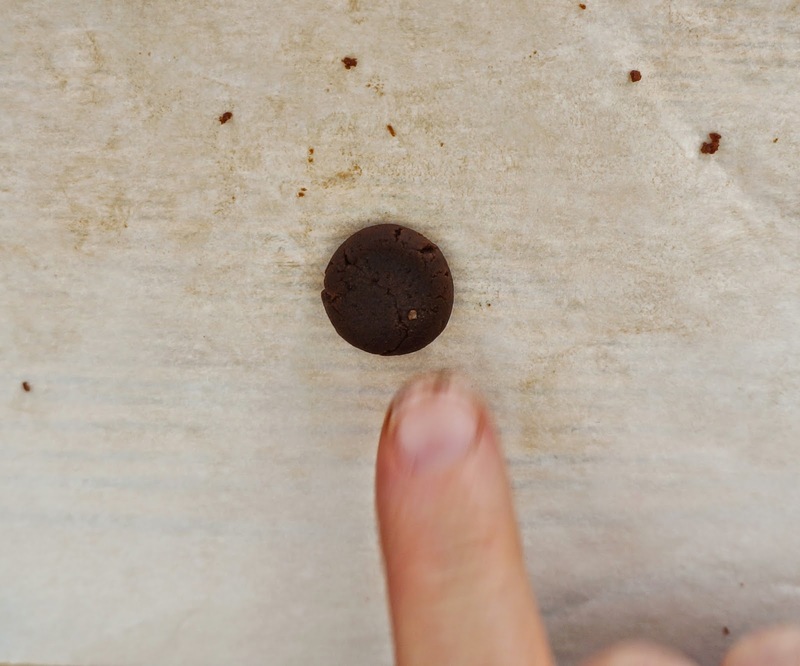 Place cut out eggs onto your cookie sheet. 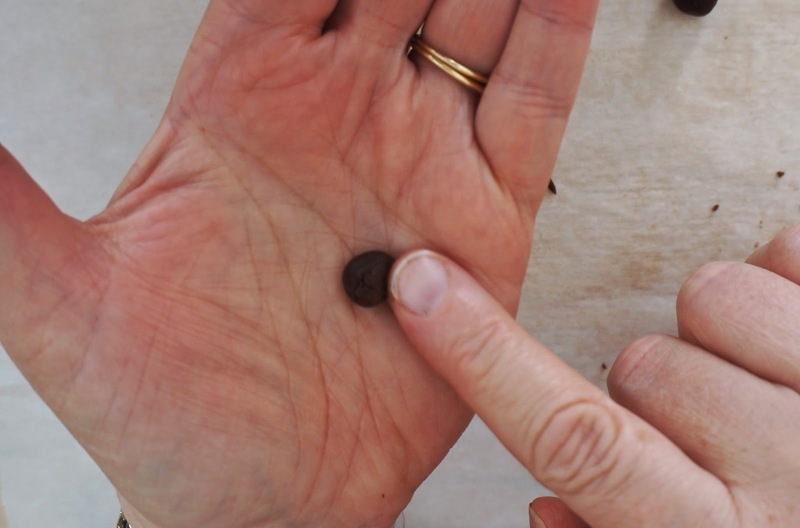 From your excess dough, create small ball shaped pieces to be formed into scales. 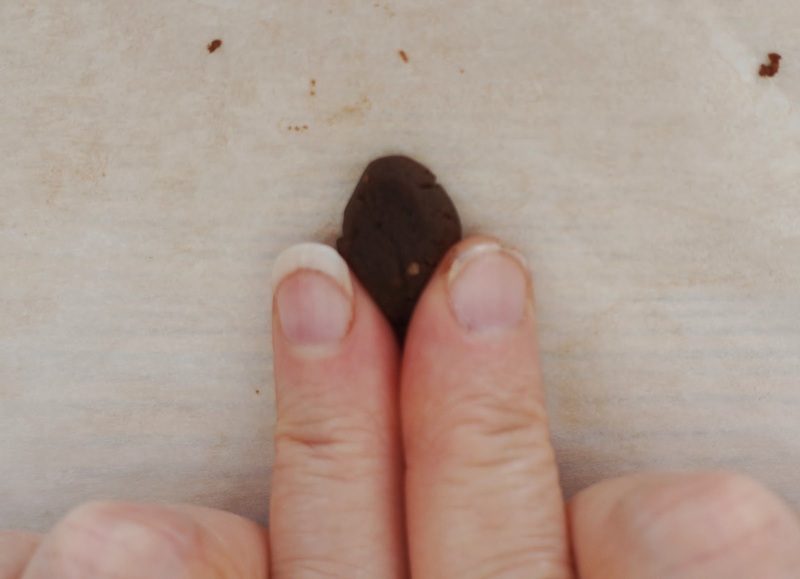 Start by rolling a small ball, then flatten with your finger, pinch at either end to create a flat diamond shape, then place onto an egg, starting from the bottom of the egg and overlapping scales. Do this for all of your eggs. 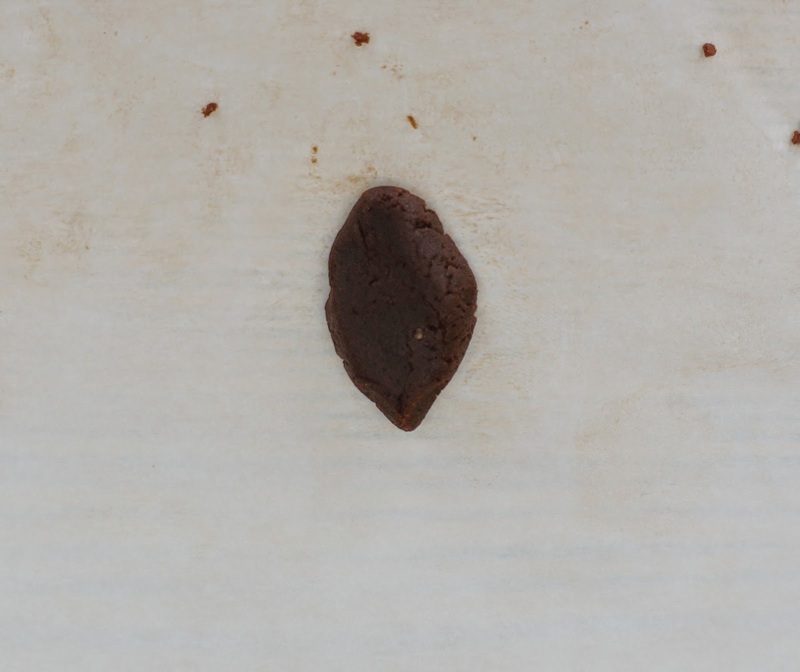 Once you have all of the scales placed onto your eggs, bake your cookies. If you decide to use the same recipe, we extended the bake time to 18 minutes. Let the cookies cool before you move onto adding colour. Once the cookies have cooled, you can start to colour the eggs. We used Wilton colour dust in pearl gold, red and green (can be found where cake decorating supplies are sold). You can brush the colours on dry or you can add a small amount of water to some of the powder. Brush downwards on the scales to achieve a dry brush-like effect. 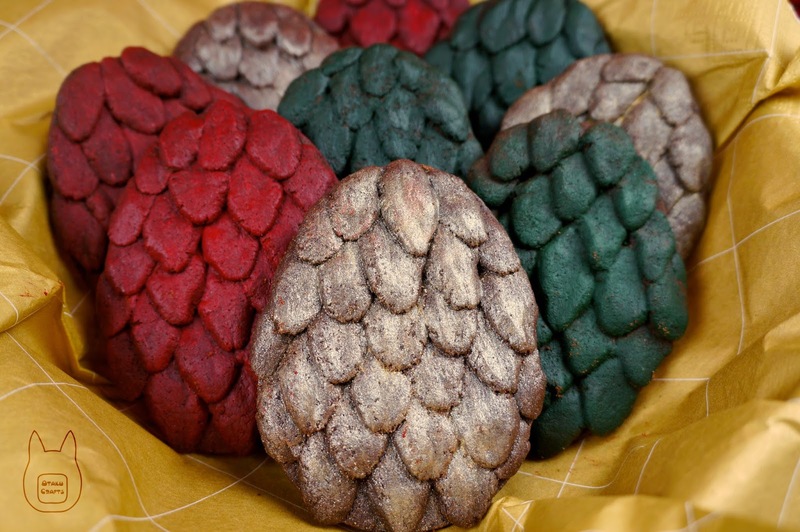 Now you have your very own dragon egg cookies!